Ok so I love Apple products. I have never had a Mac computer (on the wish list) but I have had an iPad and iPhone and let me tell ya... I just upgraded to the iPhone 6 plus which yes is a ginormous phone but you do get used to it! Anywho I have always seen other bloggers using Keynote to make their design boards and I was always so envious because it looked like such a simple program. Well-upon getting the new iPhone I have been able to get Keynote and let me tell you..it's life changing..like legit. I am now obsessed with making a board for basically anything/everything my heart desires I just love them, so alas this post has another picture of a design board haha. Well now that I have gotten that out of the way lets talk about Christmas!!!! 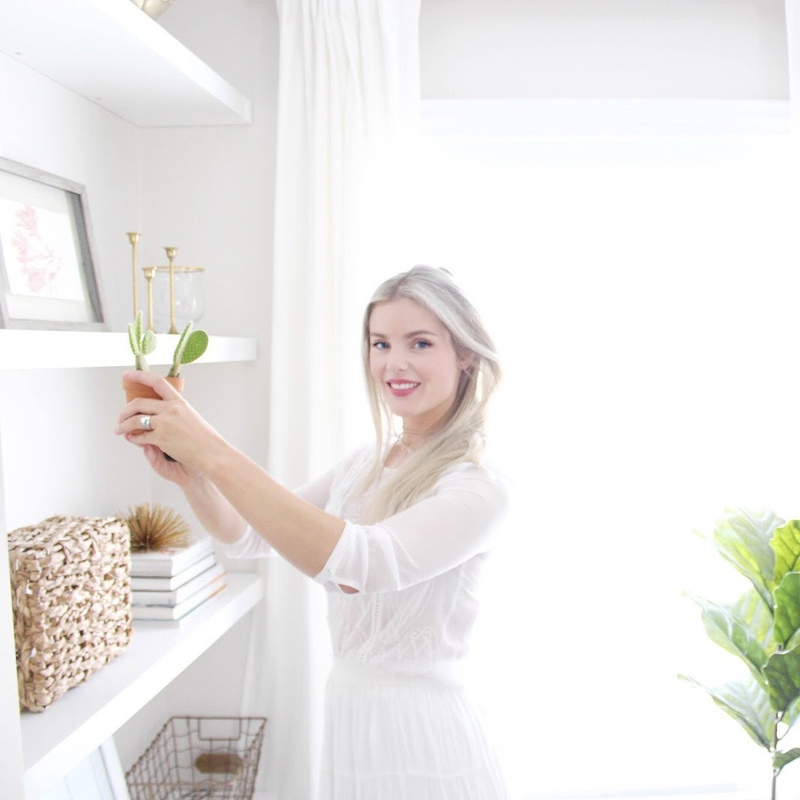 It's just around the corner and decorating is my favourite thing to do-like ever. I usually start to decorate and put the tree up (we have an artificial) the last week of Novemeber which is the earliest my husband agrees haha. 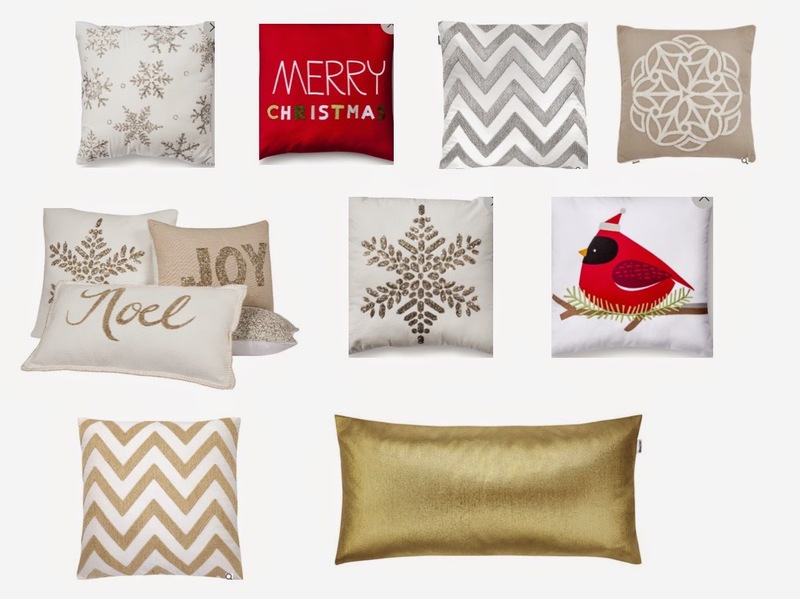 I have been dying over Target and Bouclairs holiday throw pillows this year they are so neutral and pretty but still holiday like which I feel is my cup of tea. I am a big fan of the rustic glam look when it comes to holiday decor and I find these throw pillows perfect for that. I also have a special love for the bird pillow. I just love birds, it's kind of a problem I have them all over my house, I don't know why I just love them. Anyway are you guys getting excited for the holidays?! I am hoping to get some of my shopping done early this year even tho I say that every year I am really hoping to make it a reality this year haha. Hope your all having a great day. Yayyyy I'm so excited to read your blog Lauren it's amazing!! I think we have some weird universe connection.. Husbands jobs, just started blogs.. And I also just upgraded to the iphone plus! Lol I can't even look at another iPhone now they seem so tiny! I'm going to have to get this Keynote, it was on my to do list to Google how bloggers make those cute boards! Hahaha I know right pretty much life twins lol. Thanks it's been a fun little hobby to have I am loving yours as well! :) Omg you have to get it its seriously life changing I am obsessed with making boards for everything now lol.